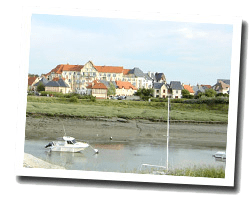 Located at the edge of the Dives estuary, near Cabourg, Dives-sur-Mer is the harbour from which William the Conqueror went to conquer England. There is an interesting historical heritage, some houses date back to the 15th century. At the seaside you can enjoy the beaches of Houlgate and Cabourg. 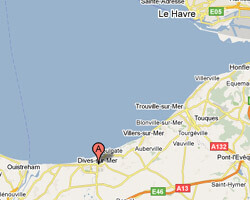 In Dives-sur-Mer enjoy a seaview holiday rental. Studio flat in a residence located on the marina. Balcony with outdoor furniture. Sheets provided. 2 swimming pools in the residence, heated one and covered one. Laundry in the residence. Price from 400 € to 900 €. 2 rooms Apartment in a residence located on the marina. Balcony with outdoor furniture. Sheets provided. 2 swimming pools in the residence, heated one and covered one. Laundry in the residence. Price from 450 € to 1100 €. 2 rooms duplex Apartment in a residence located on the marina. Balcony with outdoor furniture. Sheets provided. 2 swimming pools in the residence, heated one and covered one. Laundry in the residence. Small house 3 rooms in a residence located on the marina. Balcony with outdoor furniture. Sheets provided. 2 swimming pools in the residence, heated one and covered one. Laundry in the residence. 3 rooms apartment 42m2. Close to town centre. balcony. Shared Swimming pool.